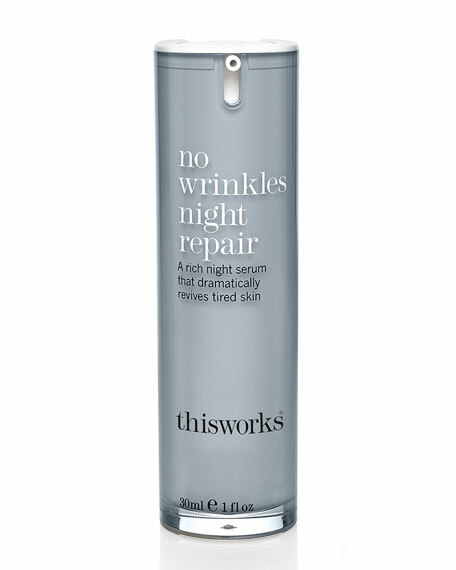 A luxurious serum that reduces and delays fine lines and wrinkles, revitalizing tired and aging skin. A potent addition to your nighttime beauty regime, feed your complexion with this rich natural serum to repair and renew fatigued skin. Persian Silk Tree extract, Cactus Flower extract and Retinol combat premature aging by attacking the glycotoxins that build up with lack of sleep. Readies the skin for moisturizer and dramatically revives tired skin, ensuring you wake up with the natural glow of eight hours' sleep, regardless of how little you've had. Use nightly for best results. Can be used during the day. SPF should always be worn in the day. Use underneath a moisturizer. Erno Laszlo Phelityl Cleansing Bar, 3.4 oz.